The new Polycom SoundPoint IP phone Series from Telephone Magic is an enterprise-grade family of SIP desktop phones designed to make voice communications effective and productive. Hosted IP-PBX telephone system platforms have become more popular. The new SoundPoint IP SIP phone family features the most comprehensive, best-sounding, most interoperable (with Hosted IP-PBX and Softswitch platforms), high-quality IP phone solutions for businesses and enterprises of all sizes. Polycom IP phones offer simple, intuitive user interfaces that reduce ongoing IT support costs, revolutionary voice quality from Polycom HD Voice technology, and interoperability with leading SIP-based Hosted IP PBX and Softswitch platforms. They also feature simplified deployment, management and maintenance, proven reliability and consistent performance and open application (API) platform for customization to virtually any business needs. Telephone Magic Inc. has long been a leading online supplier of Polycom conference phones, Polycom SIP telephones, and accessories. Jeff Jackson, president of Telephone Magic says "IT managers seek desk top communication solutions that meet the various communication needs of end users, yet are easy to deploy, manage and support. Polycom SoundPoint IP phones are business-grade telephones that interoperate with your hosted or premises-based unified communication solutions. You save money by using your existing equipment today while leaving your options open for the future". Jackson continues "Polycom SoundPoint IP phones bring lifelike conversations and application capabilities to every user in your facility. They do this through our broad portfolio of devices, easy-to-deploy provisioning capabilities and revolutionary HD Voice audio quality, all of which improve productivity in business workflows." The Polycom 670 IP phone is a six-line SIP desktop phone with color display that brings lifelike richness and voice quality to phone calls. Business teams need reliable communication devices. Most prefer deskphones that come with multiple lines but without complicated features. The Polycom SoundPoint IP 670 combines state-of-the-art hardware with proven Polycom UC software designed for executive users and busy professionals. The Polycom 650 IP phone is a SIP desktop phone with crystal-clear voice quality and advanced features that support business work-flows. 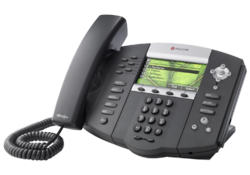 The Polycom SoundPoint IP 650 is a six-line SIP desktop phone that brings life-like richness and voice quality to phone calls. It combines state-of-the-art hardware with the proven Polycom UC software designed for executive users and busy professionals. The Polycom 560 IP phone with GigE and Polycom HD Voice capabilities, is designed to make voice communications effective and productive. Communication may be the greatest tool in any business. To facilitate clear verbal communications, companies need desktop phones with crystal-clear voice transmission. 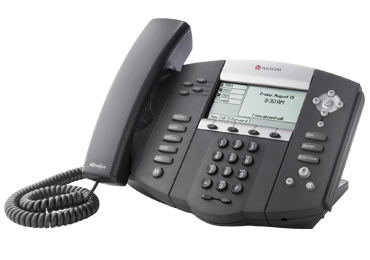 The Polycom SoundPoint IP 560 is a four-line GigE SIP phone that delivers calls of unprecedented richness and clarity. It also supports a comprehensive range of cutting-edge features. The Polycom 450 IP phone is a three-line SIP desktop phone that brings lifelike richness and voice quality to phone calls. 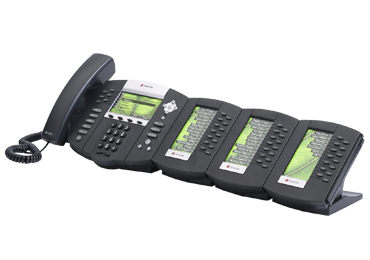 It combines state-of-the-art hardware with the proven Polycom UC software designed for busy professionals. 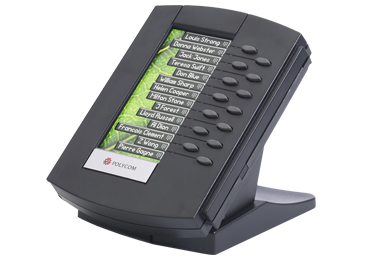 Businesses can turn the Polycom SoundPoint IP 670 desktop phone into a high-performance color attendant console. In the eyes of business customers, how people answer calls placed to a business reflects on the entire operation. As businesses grow, they need an attendant console that can expand to meet the growing volume of calls to their facility. The SoundPoint IP Color Expansion Module is a true "plug-and-play" device that adds 14 lines to the the host SoundPoint IP 670 phone without any setup or extra cabling. Jackson concludes "The Polycom family of SoundPoint IP phones leverage the capabilities of SIP-based VoIP networks to deliver breakthrough voice quality and advanced features that make calls more efficient and productive."